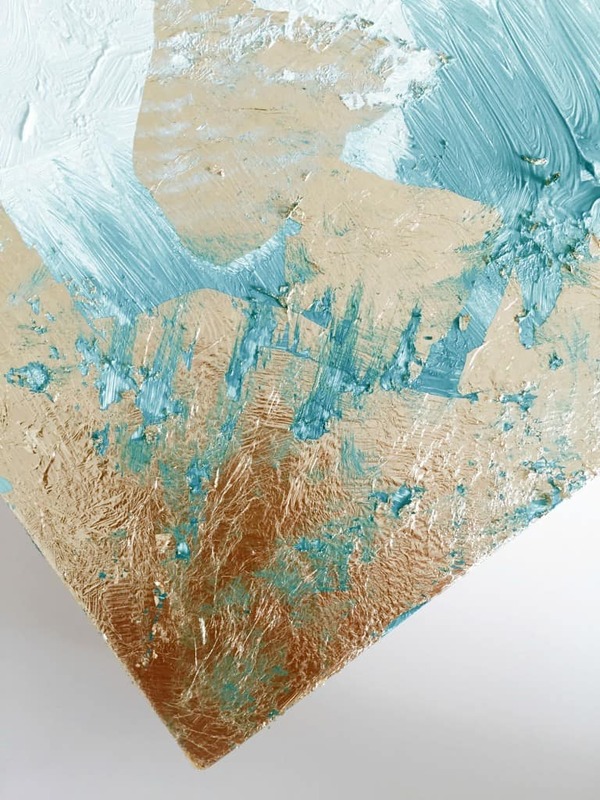 *I know there is gold foil in this picture instead of gold leaf and you can use the gold foil. 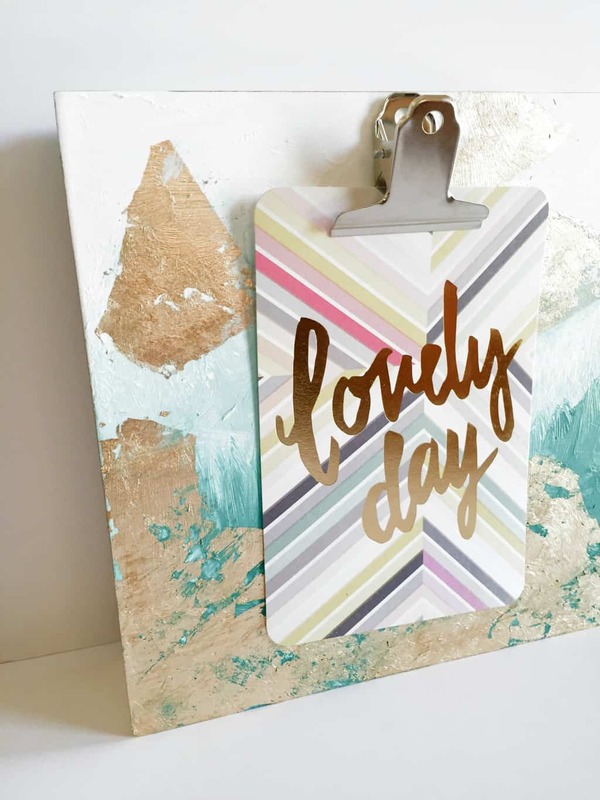 If you do, let your paint dry completely and then use the deco foil adhesive to apply the gold foil. 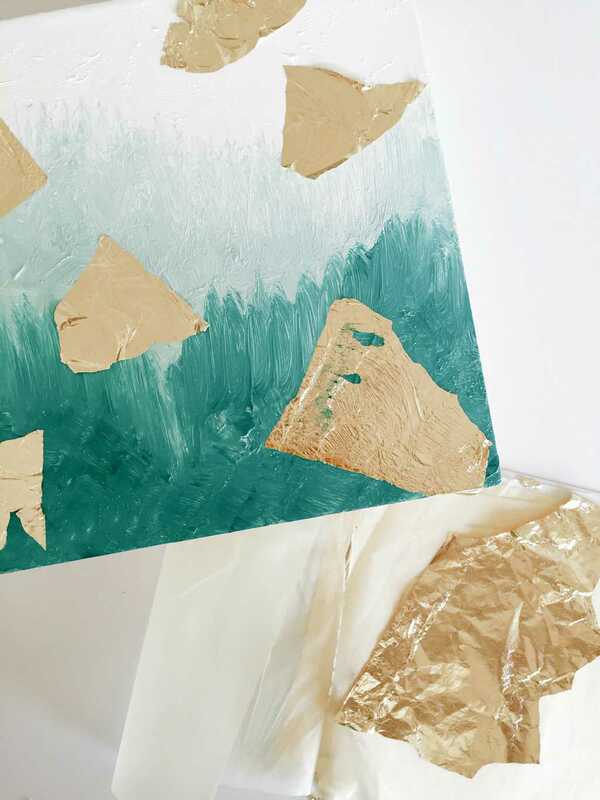 It will have a different look to it because the gold foil is heavier and won’t allow you to scratch it off to let the paint show through as much as the gold leaf will. Total matter of preference. 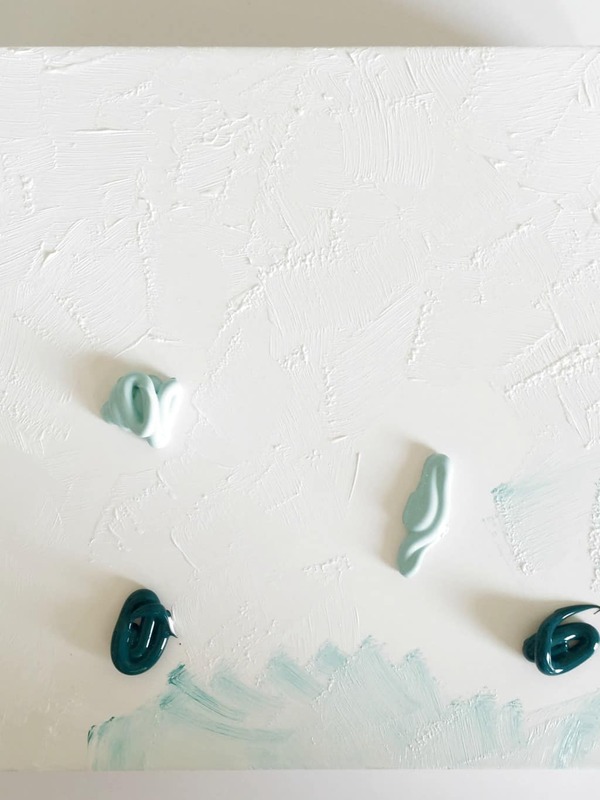 Place splotches of your paint color onto your canvas. If after you start spreading the paint you feel you’ve got too much you can always remove some so don’t worry too much about going crazy. 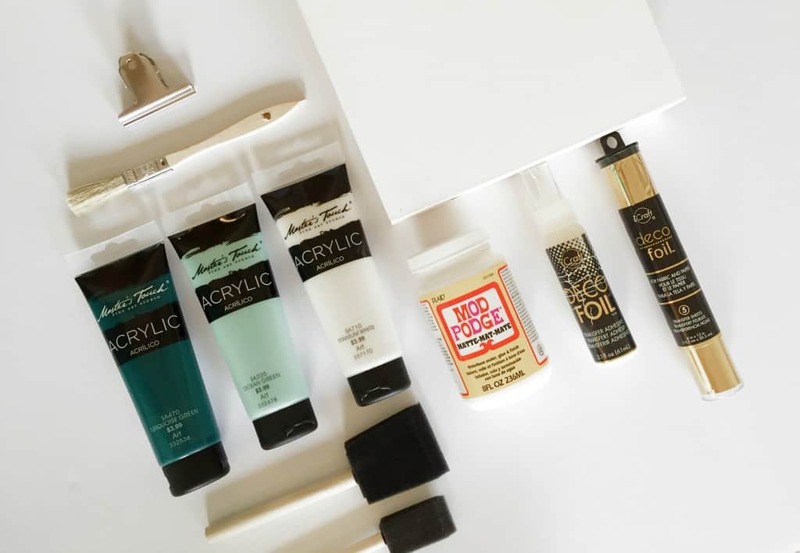 Begin working your paint around on the canvas. I started with the white and then began working the color in. There are no hard and fast rules, keep working the paint until you’re pleased with the results. 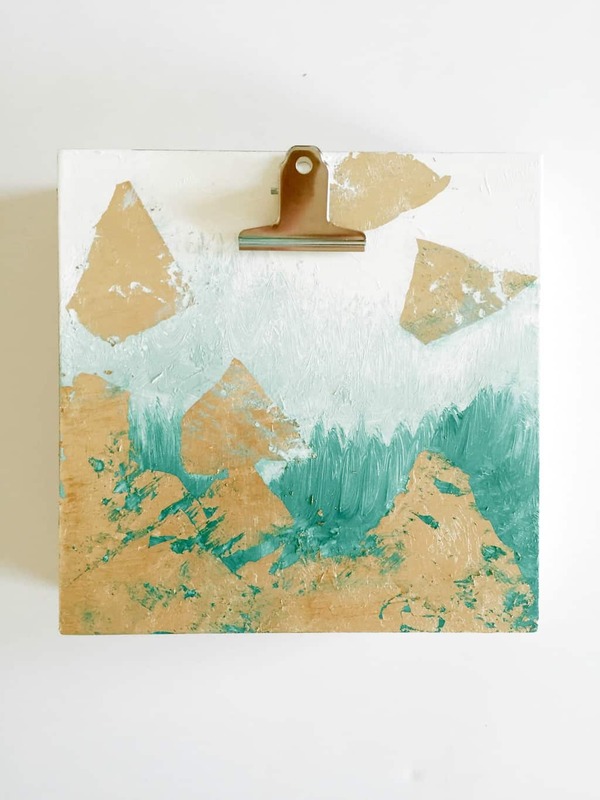 Place your gold leaf on the wet paint in random spots. Again, there are no rules for how the gold leaf should be laid out. Just have fun with it. Once the gold leaf was placed, I took the end of a clean sponge brush and went over the edges of the gold. This gave it a very natural appearance and made it look a little worn which I liked. 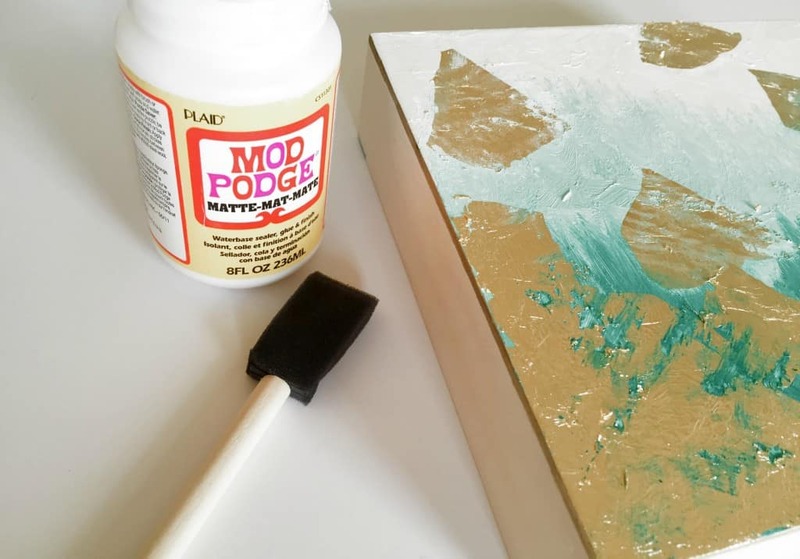 Use a sealer and go over the areas you placed the gold on. Let dry completely. 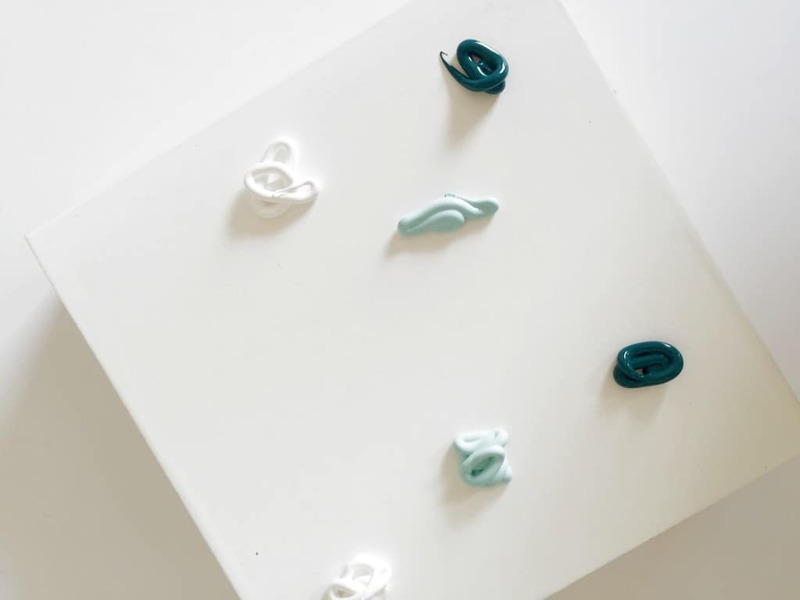 You can always find finished projects on my Etsy shop Lil Bow Peep Creations, if you’re looking for a gift or simply just don’t have time to put into creating your own. I’m so pleased with how this project came out and can’t wait to hang it on the wall 🙂 I hope you enjoy yours just as much!! !